Below is another picture taken with the tote bag laying down flat. This tote bag measures 13 inches standing tall and 12 inches across. 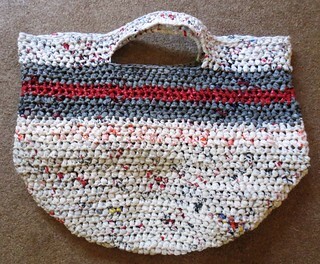 I recycled nearly 60 plastic bags to create this bag. 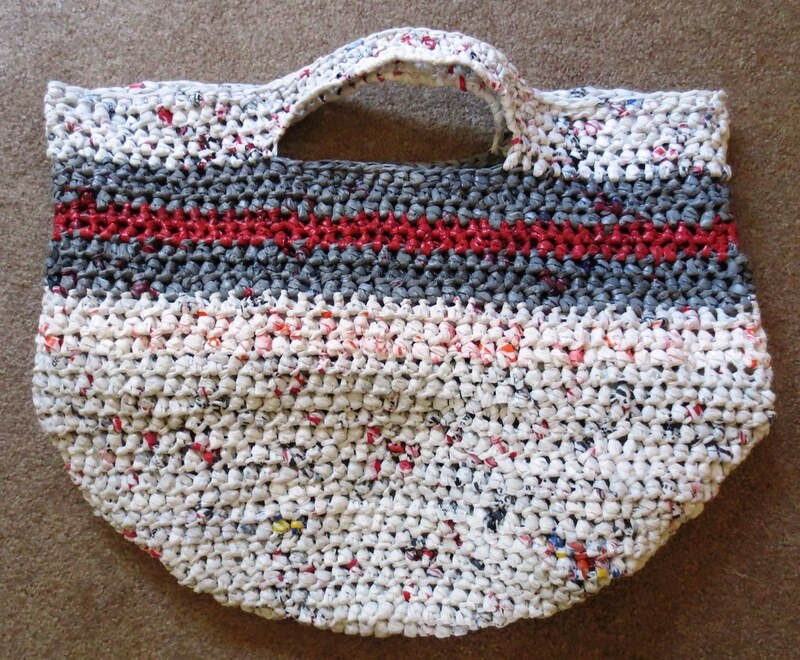 So YAY for another 60 plastic bags recycled and repurposed into something useful. 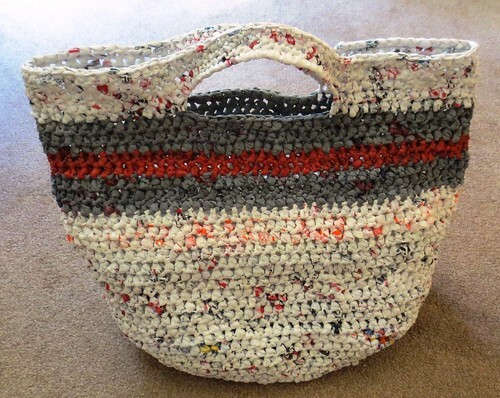 Great ideas for recycling polythene. I tried making one a couple years ago. I found that crocheting with plarn was difficult but then again I was new to crochet. I like your bag, will have to try it again. 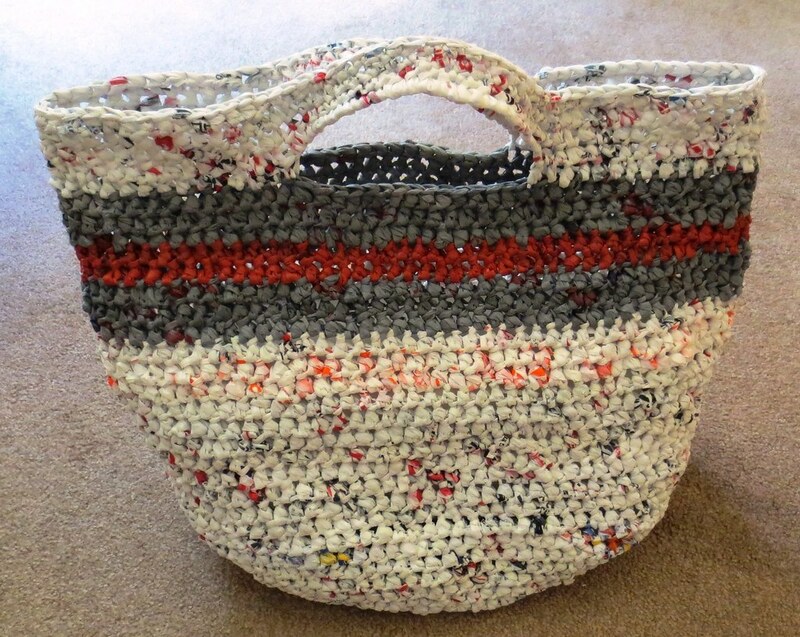 Candy – I hope you will try crocheting again with plastic bag yarn. It does take some getting used to and practice does help. Thanks for stopping by and leaving a comment. Just came across you website and am absolutely loving all of these bags ideas!! Can’t wait to start trying your patterns!!! Thank you so much for sharing these amazing ideas!! Thanks Sarah! Hope you enjoy the patterns and let me know if you have any questions as you work your project.